Rangers manager Mark Warburton has stressed that new signing Michael O’Halloran will need some time to settle down at Ibrox. 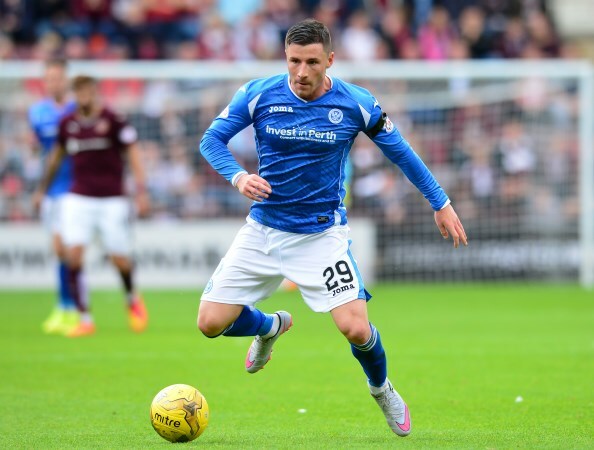 The 25-year-old forward joined the Gers from St. Johnstone on deadline day earlier this month and made his debut for the Scottish Championship leaders just a day after he joined his new club. He played a 26-minute cameo in Rangers’ 1-0 win over Raith Rovers on 2nd February and many felt that that he showed promise on his debut, but Warburton warned that the forward will still need time to settle down. The Rangers manager feels the 25-year-old went through a lot towards the end of the winter window and revealed that he has asked the player to calm down and look to settle down at the club. Warburton insisted that it is important that O’Halloran doesn’t try to do too many things too early and he need not rush things too soon at Rangers. The Englishman told Rangers TV: “I just spoke to Michael, after what he went through in January, you know the timing, when will it [the transfer] happen, whether it will happen. He went through all that. “Then it was transfer deadline day. He was here for hours, doing the media and everything else and suddenly he is playing in a game, he is grabbing the headlines. You have to say to him that it takes time to settle in. It remains to be seen whether Warburton decides to use O’Halloran against Alloa Athletic later today.